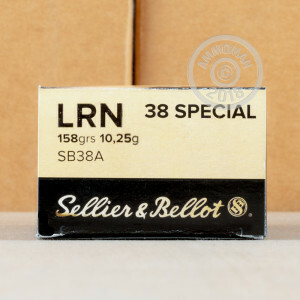 These target .38 Special cartridges are made using the best components available for performance that you can depend on! This includes clean-igniting, non-corrosive Boxer primers, reloadable brass cases, and lead round nose (LRN) projectiles. 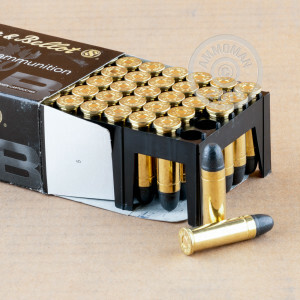 These bullets weigh in at 158 grains and mirror a wide range of competitive and personal defense ammo in this caliber. The LRN bullet has a traditional "ball" shape which helps shooters achieve smoother reloads both by hand or via speed-strip. Each projectile is backed by a light base crimp in the brass and a thin, lipped bourrelet which borders the case mouth; this structuring prevents recoil from causing setback which could cause a round to misfire. This arrangement also allows for uniform contact with the forcing cone which improves downrange accuracy.